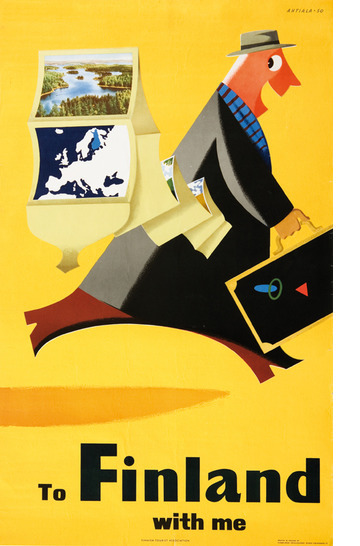 Heikki Ahtiala’s funny fellow will always have a special place in our heart. 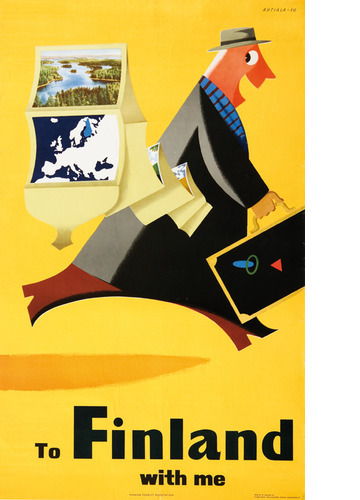 While researching for the book we found the English version of this poster (”To Finland with me”) in Washington and we where taken by it straight away. A year later a French collector who had this version contacted us. 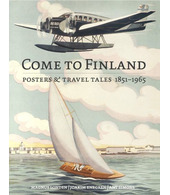 Needless to say we had no choice but the cough up the cash and get this version back to Finland. And now you can also have it!